Researchers from Ohio State University and the University of Alabama recently presented data detailing how garden-based interventions can provide significant health benefits to cancer survivors. In Seeds of Hope, Session 310 at the 2018 Food & Nutrition Conference & Expo, Dr. Colleen Spees and Dr. Wendy Demark-Wahnefried described novel gardening programs designed to improve health and quality of life for cancer survivors. 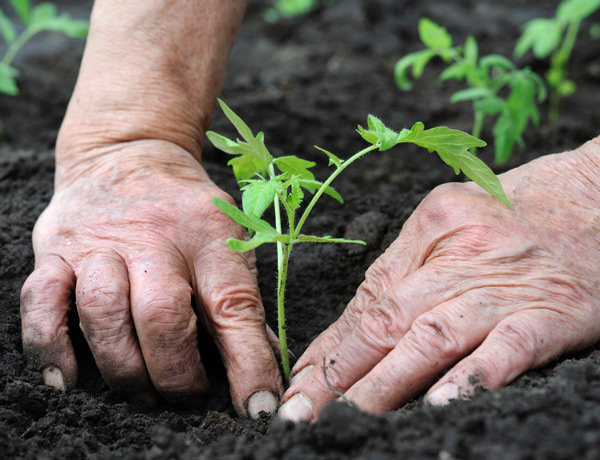 For all of these reasons, gardening — especially with friends, family or in a formal program for cancer survivors — may be an excellent way to manage the challenges of a mesothelioma diagnosis, as long as patients practice safe gardening habits. If gardening isn’t your thing, there are other options to help you gain the same benefits without getting your hands dirty. The Growing Hope pilot study at Ohio State enrolled 35 cancer survivors into a gardening program. Compared with eating habits prior to joining the program, those who participated were significantly closer to reaching goals on eating more vegetables and fruit and eating fewer refined grains and less fat and empty calories. The cancer survivors also improved cholesterol and blood-lipid levels, were more physically active, had improved quality of life and reduced levels of inflammation in the body, as measured by blood markers. The program improved spiritual and psychological well-being and decreased fatigue among the participants. Harvest for Health — the other gardening program highlighted in the research session — brought the gardens to cancer survivors. Master gardeners were paired with cancer survivors and helped them get started. For this University of Alabama pilot project, the participants received portable garden boxes, soil, seeds and tools so they could grow food on their own. Larger patient cohorts have participated in follow-up programs based on the initial trial. Participants in the pilot and later studies improved their functional status, increased fruit and vegetable intake, improved physical activity levels, and enhanced sense of worth compared with patients on a wait list for the program. Gardening appears to be an excellent way to help people with a history of cancer function more effectively — physically and emotionally. It may do this by improving self-efficacy, providing support and modeling healthy behaviors. According to cancer experts, activities that provide these or similar supports also may help cancer survivors thrive after a diagnosis. Seek out an activity that encourages you to move your body more, feel better mentally and emotionally and connect with others who are facing similar health challenges. Spees, C.K. and Demark-Wahnefried, W. (2018, October 22). Session 310. Seeds of Hope: Garden-Based Interventions Improve Health Outcomes for Cancer Survivors. Spees, C.K. et al. (2016, July 1). Feasibility, Preliminary Efficacy, and Lessons Learned From a Garden-Based Lifestyle Intervention for Cancer Survivors. Spees, C.K. et al. (2015, March). Health Behaviors and Perceptions of Cancer Survivors Harvesting at an Urban Garden. Braun, A. et al. (2018, January 31). Tele-motivational interviewing for cancer survivors: feasibility, preliminary efficacy, and lessons learned. Blair, C.K. et al. (2013, February 26). Harvest for health gardening intervention feasibility study in cancer survivors. Bail, J.R. et al. (2018, January 22). A home-based mentored vegetable gardening intervention demonstrates feasibility and improvements in physical activity and performance among breast cancer survivors.